If you change nothing, nothing will ever change. We’re making it our primary goal to improve advertising technology. We’re facing down the challenges of our industry and responding with innovation because we believe call-based leads are the truest form of performance marketing. Soleo matches ready-to-buy consumers with businesses by way of local searches and calls we redirect from out-of-service phone numbers to businesses. These businesses from 2,400 unique categories get quality, targeted leads, and consumers get the goods and services they’re looking for. And we do it millions of times a month. 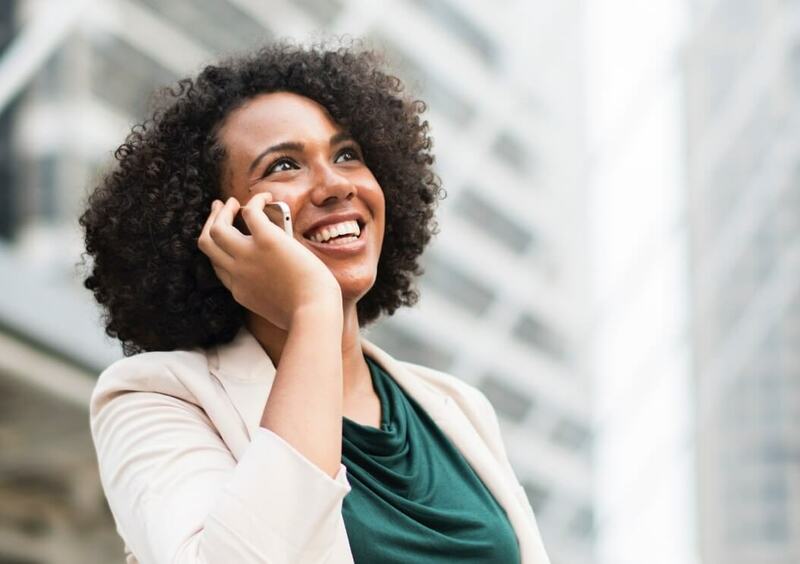 Call-based leads are growing by leaps and bounds, with a $1 trillion impact on consumer spending, according to a report by BIA/Kelsey. With this rapid industry growth, of course, are opportunities to grow and learn. We’re North America’s largest supplier of call-based leads. We see this time of growth as a call to action to elevate the quality of our industry. It’s part of a conversation we’re having all summer. Take a look. When a caller tries an out-of-service number, part of our business is intercepting that call and rerouting it to a business that offers similar products or services. Companies pay to get those calls. But callers have been confused when they get to a business they didn’t originally call. It’s a user experience that needs improvement. We’re improving the call flow for consumers with our Natural Language technology to increase the number of callers coming through to their intended destinations. You can read about it here. In another recent post, we discussed how we’re empowering businesses to qualify the types of calls they want with very specific filters. They can select the time and day of incoming calls, the type of services these customers want, or age, location and so much more. We also have upcoming content, like a showcase of our Natural Language search technology. We’ve been implementing it with voice assistants like Amazon Alexa. Our Chief Scientist Jason Nordhaus will be showing how we use conversational language during intercepting calls and web searches. It gives local search results that are accurate and easy to use for consumers. In 2016, voice search accounted for around 15 percent of all search volume. By 2020, a full 50 percent of all searches will be conducted by voice, according to analytics firm ComScore. No longer are we hoping to find the most relevant results on a screen., dealing with keywords and paid ad content at the top of our search engine pages. Natural Language gives specific results that serve the end user well. If you said that to a person, they’d understand you’re in the mood for something sweet to eat. But a traditional search engine would struggle to provide meaningful results. It would show blog posts about what to do if you have a toothache or articles on tooth pain related to eating sugar. Our technology understands this conversational language and gives local business listings, like bakeries and cafes where someone could get a sweet snack. There are more than 4 billion calls and searches annually on our network. We partner with large, authoritative telecommunications and presence management service providers to give us more than 16 million business listings in our database. And consumers face 100 million targeted ads a month. Calls to businesses will only continue to grow. According to BIA/Kelsey research, call monetization and annual calls to businesses from smartphones will reach 162 billion by 2019. This is more than double the roughly 77 billion calls generated last year from mobile devices. Soleo has a responsibility to make sure these calls are of high quality. They should come from consumers who have a positive experience, and businesses should get consumers on the phone who are looking for their goods and services. We’re the biggest, but we’re not content. We want to strive to improve our performance while elevating the quality of our industry as a whole. The post Our wake-up call to improve an industry appeared first on Marketing Land.